This year, you finally got your family to agree to spend the Christmas holidays in the Maldives. This will be one of your best holiday choices especially for Christmas, spending the holidays surrounded by the beautiful clear and warm waters of the Indian Ocean instead of the freezing temperatures and snow. The weather and temperature in the Maldives is almost consistent throughout the year, with only occasional rain showers during the wet season and a warm 30ºC. Of course, if you’re dreaming of a white Christmas, instead of snow, you’re surrounded by white and sun-illuminated beach sands. Being a Muslim country, the Maldives does not officially celebrate Christmas. However, the island resorts cater to guests who opt for a Christmas dinner as well as a few decorations. It is suggested that instead of celebrating Christmas the traditional way, spend it with your family on a quiet and relaxing beach with the white sands and beautiful ocean all around. As a Muslim country, pork products are not allowed on the local islands and there is very little chicken products. Island resorts are allowed to serve pork and chicken products, but finding roast turkey with potatoes for a Christmas dinner will be very hard. Instead, why not enjoy a Christmas dinner with the fish cuisine the Maldives is known for. There is a variety of delectable tuna, fish broth, spicy and non-spicy fish dishes, paired with rice cooked in coconut oil. Even if you spend Christmas on an exclusive island resort, spend a day or two island hopping or exploring. You can explore other beaches, coves, islets, and atolls, or take a safari through the dense forest. 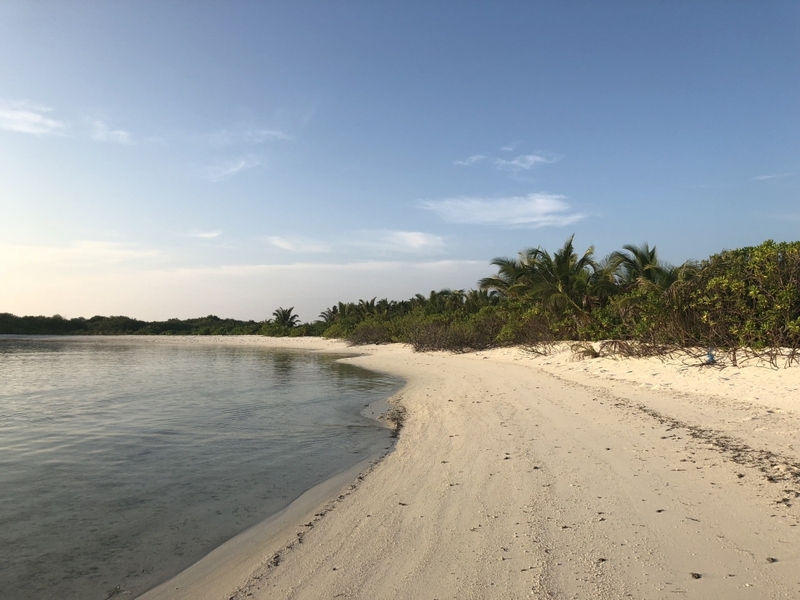 You can experience having a massage on one of the islands while facing the clear waters or go on a yoga retreat for health and wellness during the holidays. The Republic of Maldives president-elect Ibrahim Mohamed Solih will be sworn in as the nation’s only 7th president in Male City, since it became a republic in 1953. His swearing in is hailed as the end of the so-called “Maldives Crisis” created by the outgoing president, Abdulla Yameen. India has also announced that Prime Minister Narendra Modi will travel to Male City to attend Solih’s swearing-in ceremony, another indication of the end of the crisis and an attempt to mend bilateral ties between the two countries that spiralled down during the Yameen government. Presidential elections in the Maldives were held on September 23, with Yameen being defeated by the joint opposition led by leader Ibrahim Solih. People are seeing Solih’s victory as a capping of the political upheaval and a return of the tourist paradise’s focus on the country’s number one economy: Tourism. Solih has in fact promised to increase marketing and infrastructure for tourism in order to attract more visitors to the islands especially during the winter months in other countries. Aside from being the most beautiful tourist holiday getaway in Asia, if not the world, the Maldives is an important country for India’s maritime security especially in the Indian Ocean. Although man-made climate change and man-made global warming is still debatable because it is still an unproven science, it is not too late take action against natural climate change that may have some effect on the Maldives. On October 10 of this year, the United Nations published its latest report on climate change (more than half of it dealing with proven Natural Climate Change) and served as a sort of warning about its effects unless there is a rapid switch to renewable energy. The United Nations’ Intergovernmental Panel on Climate Change (IPCC) has warned that climate change warming may exceed the 1.5ºC limit by 2040. Because of this, small island states and economically disadvantaged populations may be particularly affected or at risk. The Indian Ocean, Pacific Ocean, Mediterranean Sea, Caribbean Sea, and South China Sea are home to a scattered 48 island nations, one these being the Maldives, made of more than 1,000 islands, atolls, and coral islets stretching across the equator in the Indian Ocean. 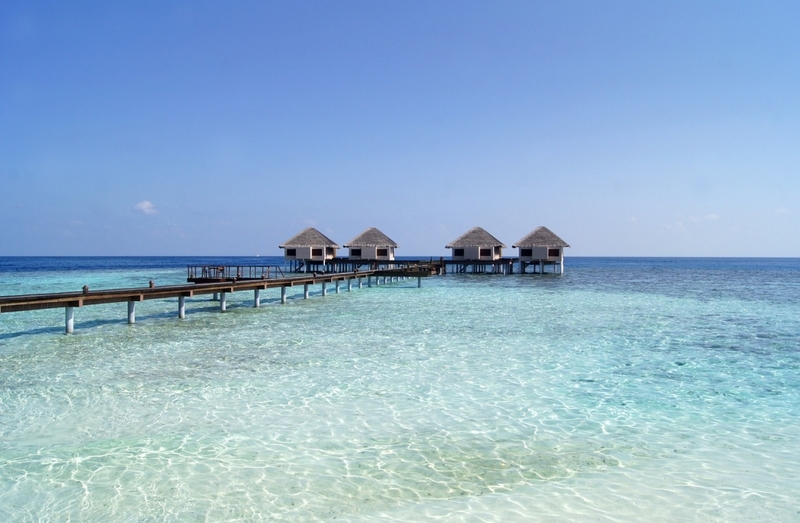 Thulhaadhoo, Hithaadhoo, and Muthaafushi are just three of the almost 30 inhabited islands by the local population as well as also having their share of the resorts, rest houses, teahouses, and cafes created solely for holiday goers and tourists. People being ferried to these islands are amazed often by the dolphin escorts that swim alongside the boats. And like the other islands, it has its share of the turquoise blue lagoons, clear sea waters, pearly white sandy beaches, and lush green trees. Tourists enjoy snorkelling, diving, swimming, fishing, and generally enjoy exploring the nearby uninhabited islands and islets. At night, the locals and holiday goers can be seen sitting on “Jolis” or traditional chairs made of coconut husks. However, behind this is an island nation slowly being besieged by natural climate change. In danger of being affected may be the island’s wave patterns, freshwater aquifers, and reefs. But in any case, all is not lost even as the debate goes on as to the truly long-term effects of natural climate change since this is a naturally occurring phenomenon around the globe. Changes can still be made by shifting to alternative energy sources while keeping plastic garbage disposal to a minimum and preserving the natural underwater flora and fauna around the islands by not destroying any corals. Due to the infrastructure development in the Maldives for the past 20 years, both from the state and private sectors, the country’s tourism achievements have been astounding. 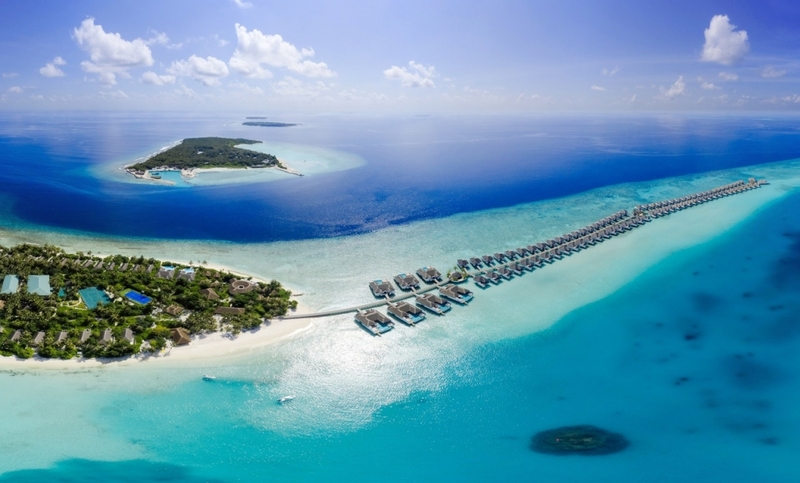 Naturally, the Maldives will continue to develop its hospitality sector to increase its dynamism. The Maldives does beg some analysis since, for a country almost totally dependent on tourism, should the Maldives sell the tourism industry as a whole or in terms of individual resorts? Or perhaps shouldn’t the Maldives hospitality be celebrated in its entirety. Videos constitute 82% of all government and private sector marketing efforts. It is agreed that videos are able to get and hold the attention of viewers and make a true connection because the viewers see the destination in its true form. Rather than target the whole market, influencer marketing gets influential people from specific target markets. For instance, to target the rich and famous, they get celebrities with personal blogs. To target the millennial market, they get travel bloggers / vloggers. They also target photographers and content creators who are active on social media as travellers. In the future, the government will explore into organising sporting and entertainment events allowed within the bounds of Islam. Resorts are encouraged to have mobile-friendly websites or integrated smartphone apps so as to target the large millennial, middle-income, and affordable budget customers who want to book their holidays Maldives for a different experience. Fake news websites affect all types of businesses today, and the Maldives tourism industry is no exception, since some unscrupulous persons are targeting the Maldives merely because it is a Muslim country, lumping them in fake commonality with such countries as Yemen, Syria, and Iran. Storytelling is a strategy used by all sectors in order to help all targeted audiences to form an emotional connection that will lead them to come back to the Maldives for a second or third holiday, or at least, give their positive stories to others and encourage them to also book their holidays in the Maldives.